Our Dealer Spotlight for the month of March is Central Office Service and Supply from Clay Center, Kansas! March 1st, 2017, marked the 70th birthday of Central Office Service and Supply. OES is proud to call them a customer and, more importantly, a friend. Principal Owner Steve McMahan’s father started the business as an accounting firm in 1947. The firm moved quickly into office machines and office supplies. Today, they are an old-fashioned, mom-and-pop office supply store. They offer an array of products including furniture, supplies, and all types of machines. Originally a Panasonic dealer, they moved over to Samsung when Panasonic left the business. Finding it difficult to transition their customers to Samsung from Panasonic, they decided to make the switch to Sharp after being courted by Sharp directly. Once they started carrying the Sharp product line, they found the transition from Panasonic much easier. Customers loved the new product, and the rest was history. Sharp is a very reliable product line, which made it an easy transition for customers. People know Sharp as a respected copier brand, so Sharp products are readily accepted. 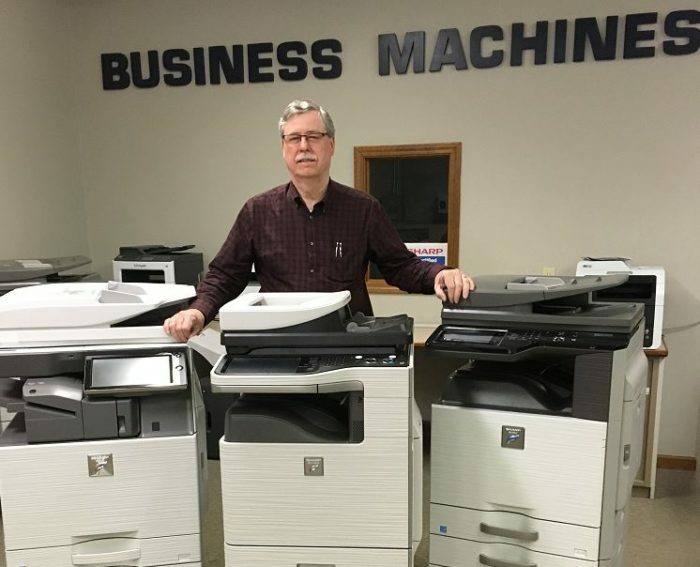 Central Office Service and Supply takes great pride in matching the right product to the needs of the customer, and Sharp gives them a good variety of options to work with. The relationship between Central Office and OES is based on mutual respect and admiration. “OES takes great care in processing orders in a timely fashion, and they always get us the answers to our questions,” said Steve McMahan, President of Central Office Service. “We’ve met them face-to-face, we know them, and we like them. They do business how we like to do business, face-to-face, by name” Steve continued. Becoming a Sharp CCR (Certified Channel Reseller) with OES-Solutions was a perfect fit for Central Office Service and Supply. “The quota level is attainable, the products are the best fit for our customer’s needs, and the support we get is top notch,” said McMahan. As Central Office moves forward in the marketplace, their goals remain the same: to continue to reach out and promote the best products on the market, digital MFP’s from Sharp Electronics. Their focus is now primarily on the MFP and furniture side of the business. They are very competitive in this market, always looking for new customers, and always in growth mode. For more information, or to place an order today, do not hesitate to contact Central Office Service and Supply.